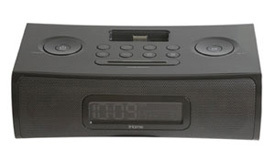 Meet the new ZN9, the world's first clock radio for Zune. 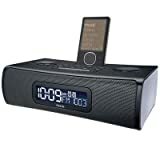 The ZN9 features several innovative solutions, including wake and sleep to your Zune music or AM/FM radio presets, a 7-5-2 feature for separate weekday and weekend alarm times, and an extra-large backlit LCD with dimmer. With the Reson8 speaker chambers, you'll be able to enjoy stereo sound around the clock. The new ZN9... treat yourself and your Zune right. Meet the new ZN9, the world's first clock radio for Zune. Click to enlarge. While docked, your Zune is charged, so it's ready to go when you are. Click to enlarge. Auxiliary input is included for connecting external devices. Click to enlarge. Enjoy your favorite songs while your Zune is docked in the ZN9. While docked, your Zune is charged, so it's ready to go when you are. The ZN9 boasts a ton of options to help you drag yourself out of bed. Wake or sleep to Zune, AM/FM radio, or buzzer, depending on your mood. Use the programmable snooze to get that perfect amount of extra sleep in the morning. The Gradual Wake and Gradual Sleep features increase/decrease Alarm/Sleep volume. 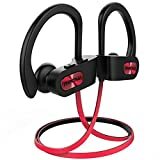 As you fall asleep, the music fades out, and as you wake up, it fades in, so you don't get the jarring effect of standard alarms. The ZN9 also gives you several alarm features: dual alarm for multiple wake times, a 7-5-2 feature for setting separate weekday and weekend alarm times, AM/FM presets, and an auto-set clock that sets itself. Enjoy great sound from the high-fidelity stereo drivers in specially designed Reson8 speaker chambers, which deliver astounding clarity, depth, and power. On top of that, the speakers are enclosed in a clean, contemporary design, perfectly complementing the looks of your Zune. 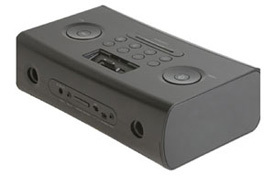 The ZN9 also features an auxiliary input for connecting external devices like CD or MP3 players.